Making an Etsy-based business work when you have absolutely no other choice but to make it succeed is the situation Crystal found herself in back in 2011. 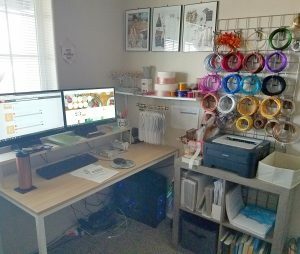 Today, Crystal runs the Etsy shop Le Rustic Chic where she sells custom handmade wire creations for special occasions and even though, thankfully, today we get to talk about the success she has found on Etsy, the journey started out with a lot of unknowns. 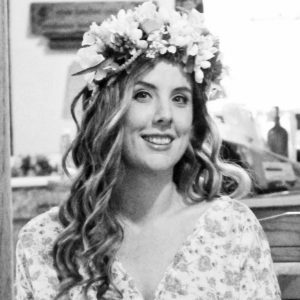 This week, Crystal is my guest on the podcast and if you’re at a point in your own Etsy journey where you find that you need a good dose of inspiration and a reason to keep forging ahead, then you’ll really love hearing Crystal’s own Etsy story. This strategy was brand new to me so we went over it a couple of times… It’s brilliant! Label printer: Dymo LabelWriter 4XL (affiliate link) – the price seems to have gone up since I bought mine but I promise you, it is worth every single penny; and here’s a link to the labels for the Dymo LabelWriter 4XL (affiliate link); you do get some starter labels with the printer but trust me, you’ll probably need a lot more (one roll of this should be okay to start with).